eBay has issued eBay Bucks certificates for any Bucks earned during the first quarter of 2019. Throughout the first quarter, eBay ran numerous promotions starting in mid-January. eBay’s first Bucks promotion of the year started with an 8% bonus running from January 16- 18, 2019. The promotions continued into February, with a promotion running weekly. eBay Bucks Promotions continued running weekly throughout March. Since it’s the beginning of a new quarter and the start of a new earning period, it’s typical for eBay to not begin running a promotion until the second or third week of April. Those wishing to “double-dip” eBay Bucks, earning more bonus bucks while spending their previously earned Bucks, may wish to hold off until then. The eBay Bucks earned during the first quarter of 2019 must be redeemed in the first 30 days after the certificates are issued. So earned eBay Bucks must be spent on or before May 2. If you’re looking for ideas on how to spend your eBay Bucks while earning additional eBay Bucks, be sure to check out our list of eBay Bucks Eligible Bullion items. The Promotion starts at 5:00AM PT on December 5, 2018 and ends at 11:59PM PT on December 6, 2018 (the “Promotion Period”). The Promotion applies to any qualifying items purchased during the Promotion Period that meet the minimum purchase requirement. You must activate the offer to qualify. You can earn 10% eBay Bucks when you buy silver bars. Just in time to start holiday shopping, eBay has launched a 10% eBay Bucks promotion that allows you to earn a bonus on all qualified purchases over $50. Eligible purchases made on eBay on 11/19 and 11/20 that are over $50 will earn the 10% eBay Bucks bonus if you’re qualified and activate the offer. Even if you are already signed up for eBay Bucks and you don’t receive the email notification you may still be eligible to earn the bonus. Follow this link to the eBay Bucks Promotion Activation Page, click the “Activate” link to determine if you’re eligible. Despite items in the Bullion category being ineligible for earning eBay Bucks you can still earn Bucks when you buy silver bars, rounds and other bullion. Many times dealers will list bullion items in alternate categories that are eligible for earning Bucks. These can be tricky to find so we list silver bars and rounds that are eligible for earning eBay Bucks on our Bucks eligible Bullion items list. 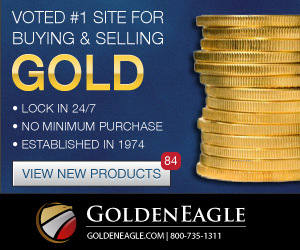 In addition to silver bars and rounds, we also track gold bullion, gold coins and other bullion items. eBay launched an eBay Bucks promotion this morning that allows buyers to earn 8% cash back eBay Bucks rewards on eligible purchases through November 15, 2018 at midnight Pacific time. As usual, items listed in the bullion categories on eBay are ineligible to earn Bucks. 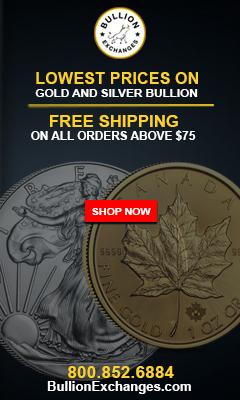 However, there are many deals on gold, silver and junk bullion that trusted and reputable dealers have listed outside of the bullion categories that are eligible for earning eBay Bucks, including the 8% bonus. To find out if you’re eligible for the eBay Bucks promotion, click this link to the eBay Bucks promotion page and click the “Activate” link. If you’re eligible to participate you will be brought to a confirmation page. If you are not eligible you will see a message stating that the offer cannot be activated and it may give you a reason. Click here for lists of eBay Bucks eligible Gold, Silver and Junk bullion items. 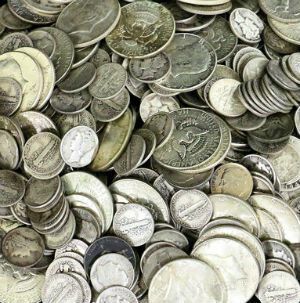 Eligible items include rolls of American Silver Eagles, rolls of Canadian Silver Maple Leafs, fractional gold bars, 10 oz silver bars, 20 Franc Gold Coins, Gold Sovereign Coins, lots of 5 and 10 1 oz silver rounds and bars as well as 90% silver coinage in rolls and bags. Most bullion buyers who buy on eBay are familiar with the value that the eBay Bucks Rewards program provides. It is a cash back style rewards program that gives back 1% of each eligible purchase in the form of an eBay Gift Card code that can be applied to future purchases. As often as several times per month eBay runs promotions that increase the cash back earnings provided by the eBay Bucks program. The promotions have increased the percentage of earnings to 8%, 10% and even as high as 15%. Any items that are listed in the bullion categories are automatically excluded from earning eBay Bucks. However, some savvy dealers will list items in other eligible categories which allow earning of eBay Bucks on bullion purchases. APMEX has always included items for sale on eBay in eligible categories. This has typically included gold bullion coins, primarily European circulated gold bullion coins such as British Gold Sovereigns and 20 Franc Gold Coins. They also usually have Pre-1933 American Gold Bullion and Mexican Gold Pesos. Bullion Exchanges offers a variety of silver bullion items in eBay Bucks eligible categories. Often you can find a variety of 1 oz rounds sold both individually or in lots of 10, 5 oz silver bars and 10 oz silver bars. Modern Coin Mart usually has Rolls of 20 American Silver Eagle coins for sale in eBay Bucks eligible categories. Their prices are usually higher than you can find elsewhere but some people feel that the higher price is offset when earning eBay Bonus Bucks during promotional periods. BOLD Precious Metals usually offers foreign silver and gold bullion items in eBay Bucks eligible categories. They typically offer China Silver Panda coins, Super Hero Themed silver bullion rounds and Rolls of Austrian Silver Philharmonic coins that can earn eBay Bucks. We have published an updated list of eBay Bucks Bullion items that are eligible for earning bucks. eBay launched another eBay Bucks Bonus promotion this morning. This time around the eBay Bucks Bonus amount is raised to 10% on purchases over $100. Even though gold and silver prices are down dealer premiums have remained steady or increased slightly. The usual net cost gold coins below spot price deals that can often be found during eBay Bucks promotions on Gold Francs and Gold Sovereigns don’t seem to be available this time around. 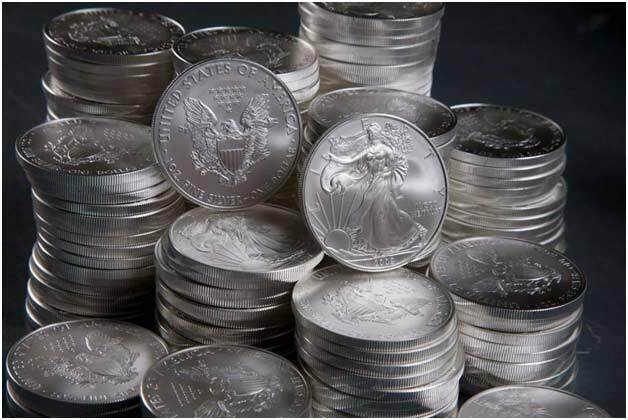 There are some good deals on American Silver Eagle rolls, 10 oz lots of silver rounds or bars, and a lot of deals on 40% and 90% Junk Silver around spot price. A couple even net below silver spot price when factoring in the eBay Bucks Bonus. Savvy precious metals investors are always on the hunt for a great deal when looking to buy silver bullion. Finding a way to buy silver below spot price is a great way to lower the dollar cost average of your precious metals investment. One way some silver buyers have found to buy silver below spot price is to utilize the eBay Bucks cash back rewards program, combined with a credit card that pays a percentage of each transaction as a cash back reward. eBay Bucks is eBay’s loyalty rewards program that provides a base cash back reward of 1% on eligible purchases. The reward is credited to your eBay account at the beginning of each financial quarter based on your purchases in the previous quarter. The maximum amount of rewards that can be earned each quarter is $500, or up to $2,000 a year. Several times per quarter eBay will run Bucks bonus promotions intended to boost sales. In the past the promotions have ranged from 6% to up to 15% bonus on top of the base reward. eBay Bucks can only be earned on eligible purchases. Normally, items in the silver and gold bullion categories are not eligible. However, some dealers are aware of this and to encourage sales will often list items in alternative categories or list products that are eligible for earning cash back rewards on bullion purchases. All of the major and reputable online bullion dealers sell through an eBay store in addition to their own websites. They will often have the same products listed on eBay that they sell on their own websites but with different pricing. Some of the time the prices are cheaper than on their website, sometimes prices are more expensive. While it may seem illogical, the reasons are pretty straightforward. eBay charges sellers pretty high fees for both listing items for sale as well as to complete the transaction. Plus, paying with PayPal adds additional fees and costs to the dealers. For these reasons the prices dealers charge on eBay may seem higher than the base prices listed on their websites. Other times, the prices for items sold through eBay will be lower. This is because eBay provides rebates and incentives to bullion dealers that reduces or eliminates fees on certain products. 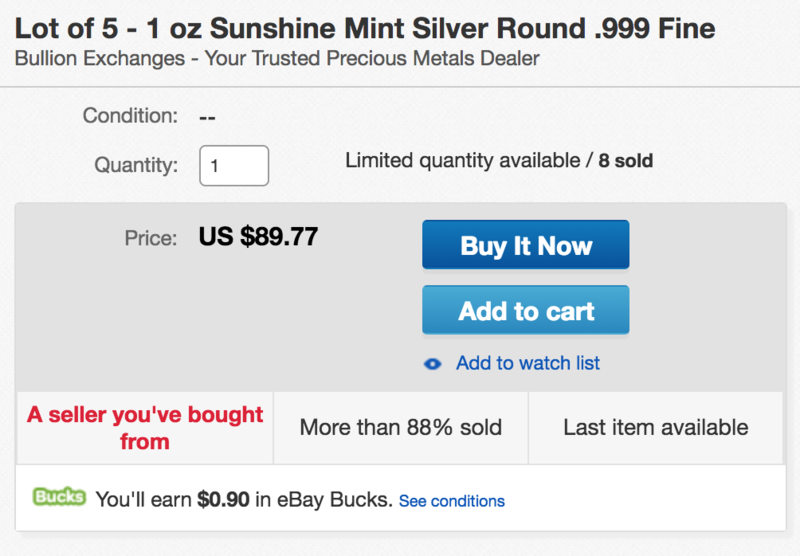 Many people avoid buying silver and gold bullion on eBay because they are worried about counterfeit or fake items. That is a valid concern but there are some basic safe guards that you can use to easily identify and avoid buying fake bullion. Another way to look at how you can leverage eBay Bucks with bullion is to maximize the amount of earnings you can per quarter and use those earnings to then buy bullion at a reduced cost during the next quarter. For example, historically, Pre-1933 US Gold Bullion coins such as the St-Gaudens Double Eagle have been available for close to gold spot price. Some people will buy with the knowledge that they already a local buyer that they can sell the coin to for a small profit. By using a cash back credit card for the purchase and paying off the credit card with the money from the local sale of the coin. For a coin that may cost $1250 this would earn as much as $100 eBay Bucks (the maximum amount per transaction), plus the cash back from using the credit card ($25 for a 2% rewards card), for a total earned cash back of $125. eBay allows the earning of up to $500 in eBay Bucks per quarter. Churning St-Gaudens Double Eagle coins could earn up to $625 in cash back rewards when combining eBay Bucks and credit card rewards per quarter. 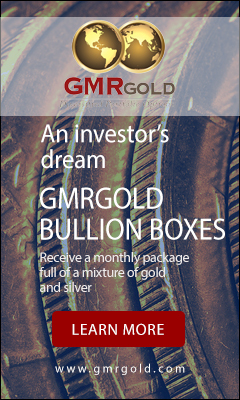 The earned cash back could then be used for purchasing silver or gold bullion for essentially no net cost. By utilizing the cash back rewards for silver purchases it’s possible to get the silver for free, or use the cash back rewards as a way to offset other silver purchases to reduce your overall dollar cost average. Long before the Euro was established as a common currency amongst European Nations, there was a similar currency union that standardized gold coins used for trade throughout Europe. It was called the Latin Monetary Union (LMU). The Latin Monetary Union was developed in the 19th century between France, Belgium, Italy and Switzerland as a way to create a standard currency. They agreed to a combined gold and silver standard with a fixed gold-to-silver ratio of 15.5 to 1 as established in the French Franc. One LMU Franc represented 4.5 grams of fine silver or 0.290322 gram of fine gold. Gold coins from the Latin Monetary Union are highly sought after by investors for their gold content. The most common of these include the French Gold Rooster, the Swiss Helvetia, and the Austrian Gold Florin. Many of the coins carry a dual currency designation that includes the local currency name as well as that representing it’s value in Gold Francs.